Meat freshness is a rather complex concept, which includes different microbiological, physicochemical and biochemicalattributes and that is related with two different processes. One, desired,is known as a ging that is determined by the period of storage that meat (especiallybeefmeat) needs in order to reach the optimum state of consumption; where as the other, also related with storage, deals with meat spoilage due to bacterial growth and autolysis. 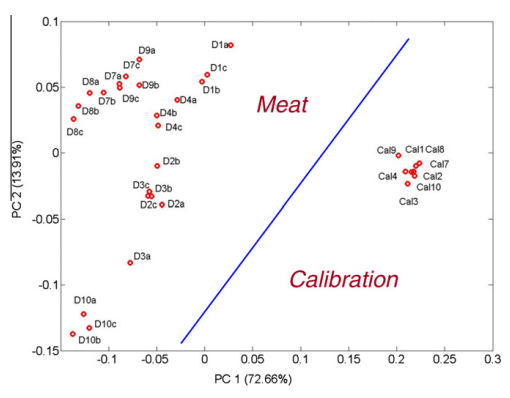 Traditionally, the rehave been two methods to evaluate meat freshness; one consist so fasensory test controlling or ganoleptic attributes with the help of experts and the other is the chemical or biochemical determination of the concentration of target bioindicators. The complete measurement equipment was built up for this speciﬁc application and wasformed by several blocks including:the electrodes, the signal conditioning system, the data acquisition system and tools for the multivariate analysis of the data. 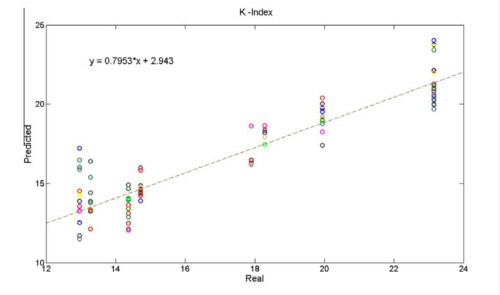 the evaluation of freshness based on the determination of the concentration of certain biomolecules as a function of time after death. 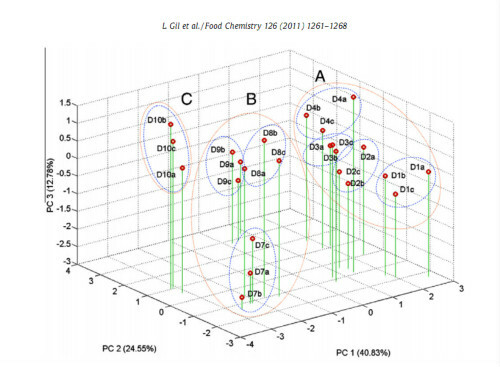 A relatively good correlation was found between the response of the electronic tongue and certain degradation in dexes such as the pH, microbialcount and nucleoside concentrations.